Why are prayer flags up in New Orleans? 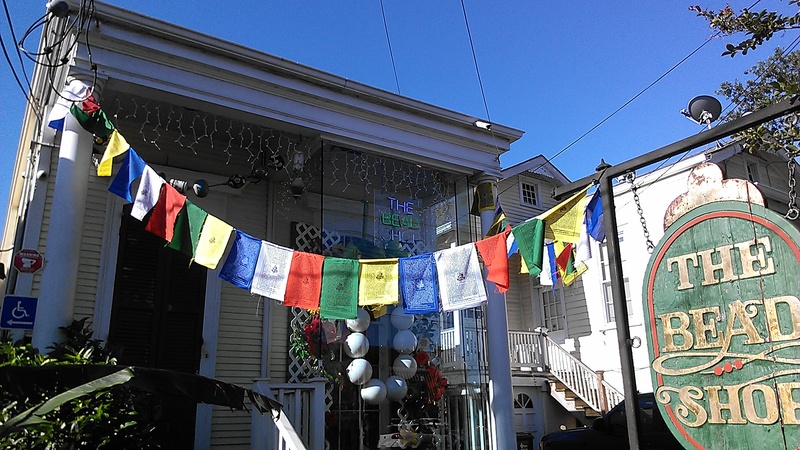 New Orleans homes and businesses have prayer flags up as a sign of welcome to the Dalai Lama, who makes his first visit this week to the city. He’ll be in New Orleans Friday and Saturday (May 17 and 18). Click here to read the story via NOLA.com. The Dalai Lama’s visit will consist of a conference, two public events, the creation of a sand mandala, and a Tibetan Cultural Center. – Join us for the closing ceremony on Friday, May 17 at 4:30 p.m. as the monks walk from the Morial Convention Center to the Mississippi River and disperse the sand into the flowing water. You can read more about his visit and his schedule here.